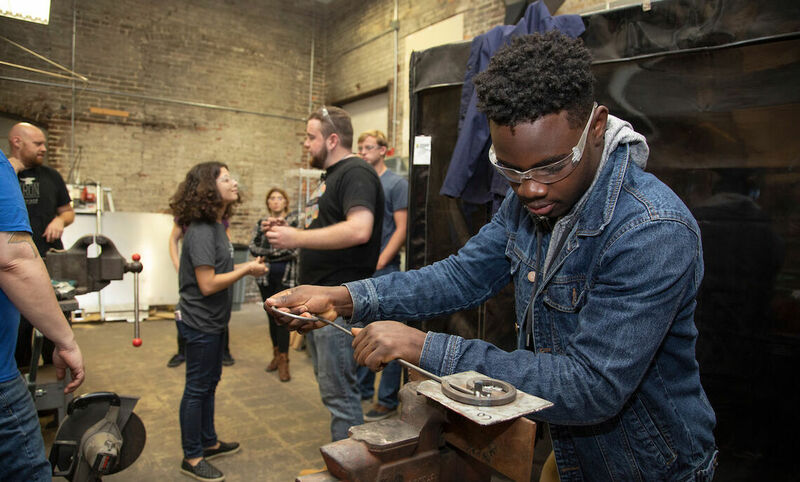 In the facilities maintenance shed at Franklin & Marshall College, senior environmental science major Boss Yolson Louis peered through safety goggles. Sparks sprayed from the circular saw he gripped while he cut through a chunk of metal for his welding project. 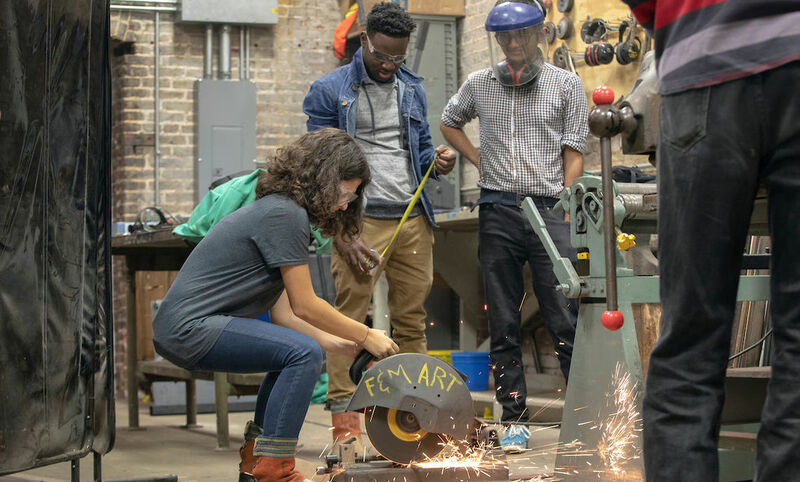 Nearby, Professor of Film and Media Studies Dirk Eitzen watched Louis and other students in his Creativity, Innovation & Design class use various metalworking tools, including welding torches. Eitzen co-teaches the class with Janine Everett, director and assistant teaching professor of the public health program, and Nydia Manos, instructional technologist. 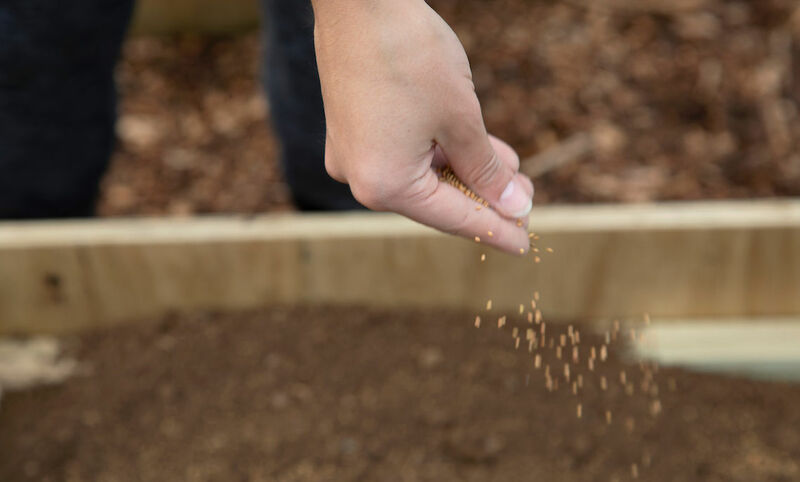 For students like Louis enrolled this semester in the CID course, the experience of using tools for projects not even remotely connected to their majors has been enlightening in many respects. “The experience in this class has really been amazing,” Louis said. “You don’t know what you’re doing. You’re just in there trying to innovate and create new things. 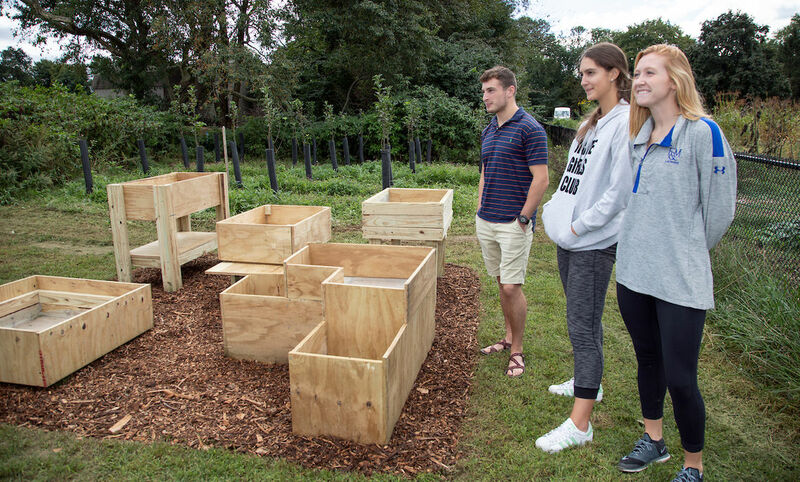 It puts you in an environment where everyone is under the same pressure of ‘How can I figure out how to be creative with the challenges that have been assigned?’"
Across campus, in a windy field where F&M students keep their gardens, three CID students work with two faculty members and two staffers to fill five newly made wooden plant boxes. The student-made boxes were built in the same try-fail-try environment as the welding projects. 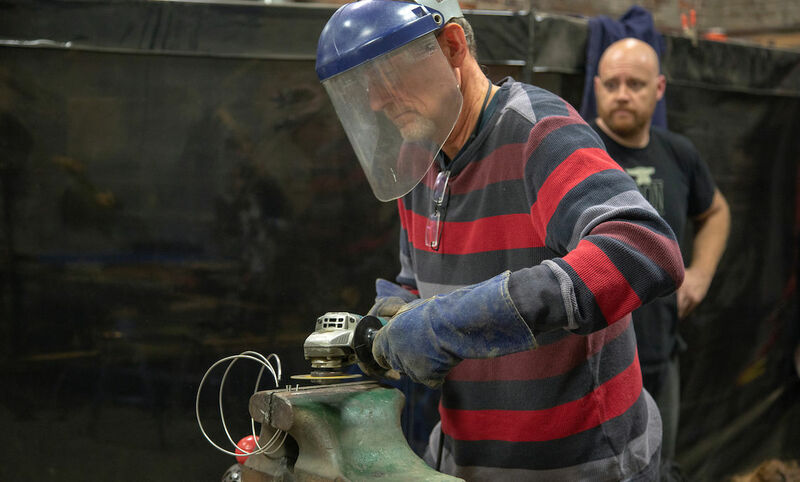 Garden boxes and welding are examples of how CID students learn to apply design-thinking methods. Each class has a large project that consumes much of their attention in the semester. Gagnon said most of the students in the course had never used woodworking tools before, which was one point of the project. 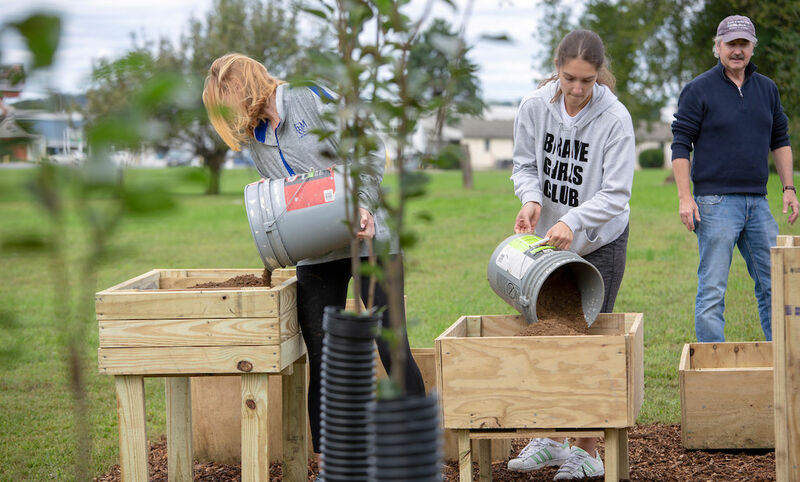 Like the other students, Maura Smith, a senior physics and economics major, found the absence of writing responses to readings for the course a stimulating change as she and her fellow collaborators went about figuring out how to build a plant box. Indeed, CID students learn to find effective strategies through each individual’s contribution to the group, said Walter. Jason Zucker, a senior government major, believes the challenge of developing strategies to complete a project while working collaboratively builds skills widely applicable.